Can Massage Therapy Help A Pinched Nerve? Are you experiencing that nagging numbness and pain down your arm or leg? A pinched nerve can happen to anyone and there are many causes. Sometimes it is caused by some sort of predisposed genetics. Another cause can be from over stress or overuse of some of the muscles in the body. According to Angela Smith, MD “there isn’t much you can do to protect yourself from this condition. It’s simply going to happen to some people.” Although it’s most common in the neck, back, and shoulders a pinched nerve can occur almost anywhere in the body and has different severity. In a mild case of a pinched nerve, the problem may dissolve within a few minutes. In moderate cases, alternative therapies such as massage therapy and chiropractic care may be the answer you’re looking for. In a severe case, surgery may be the only answer to keep the problem from reoccurring over and over. Pinched nerves are usually caused when nerves are compressed by a bone, muscle, or other connective tissues. This pressure can develop over time by poor posture or repetitive stress injuries from work. It can also occur while playing a sport or being active and moving the wrong way or over lifting. Once the pressure has been relieved the pain will generally go away. Many times, the pinched nerve will relieve itself with rest over time, but in some cases that can take a very long time. When suffering from pain, it can feel like a lifetime. There are some more “conservative” methods of healing that usually speed up the process, other than surgery. Reducing activity until healed is a must. Massage therapy may be a great option in relieving a pinched nerve because sometimes muscles tension may be the cause of the pressure. A light to medium pressure massage such as a Swedish massage is ideal, and will help to loosen up connective tissues. A Thai massage may also be a good choice for a pinched nerve, depending on the amount of pain someone is in, but stretching and a medium pressure applied to the general area of the pinched nerve will help to give more specific relief. When the pinched nerve is being cause by bone or joint issues, like the spine out of alignment or a herniated disk, a great option is chiropractic care. 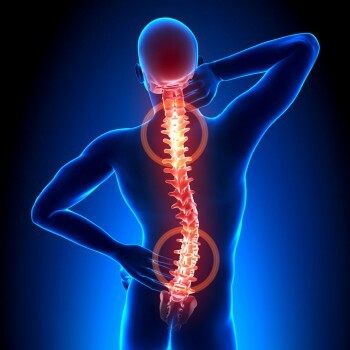 A spinal adjustment is always good to try for someone with a pinched nerve who can’t seem to get rid of the pain. Many times putting the spine back in alignment will relieve the pressure causing the pinched nerve and with that the pain will also subside. A chiropractor is always worth a try before turning to something extreme like surgery. Usually the chiropractor will re-position bone and relax the muscles to reduce any pressure on the nerves. So the next time you’re getting that tingling and pain, try massage therapy. It feels great and may help eliminate your pain.